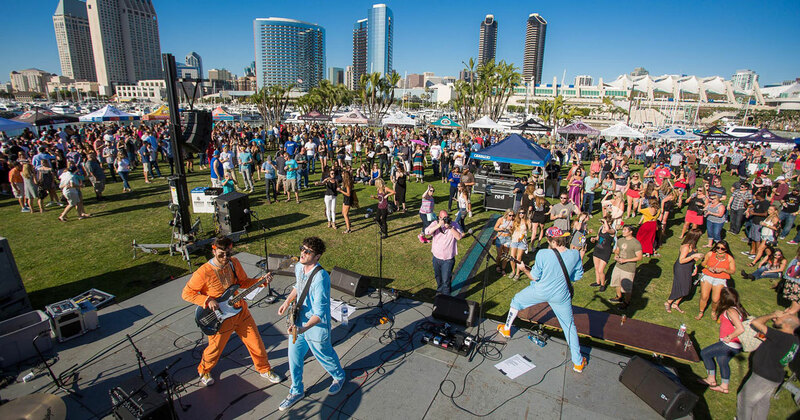 On March 11, Best Coast Beer Fest will return to Embarcadero Marina Park South for our third year. We will be bringing more than 75 breweries, a food truck alley, and local bands right on San Diego Bay. This is an event that you don’t want to miss – for casual drinkers and beer connoisseurs alike. Tickets are currently on sale and include options ranging from general admission, which includes unlimited beer samples from 2:00 to 5:00 PM to VIP, which includes extra hour of tasting and access to the VIP area which offers food, a rotating tap of limited reserve brews, executive restrooms and more. With Ultra VIP a limited amount of private cabanas will be available. We work together with the nonprofit charity, Cancer for College, to provide you with the best festival experience. Best Coast Beer Fest benefits Cancer for College, which provides cancer survivors with college scholarships. To re-cap: You. Beer. Music. Food trucks. San Diego Bay. The whole shebang. There is no physical way in the universe you can enjoy a day better than this. We’ve done the research. It’s science. This entry was posted in San Diego Events and tagged craft beer by Guest Blogger. Bookmark the permalink.